Make a mistake? Magically wipe it away with theses 4 brightly colored erasers! 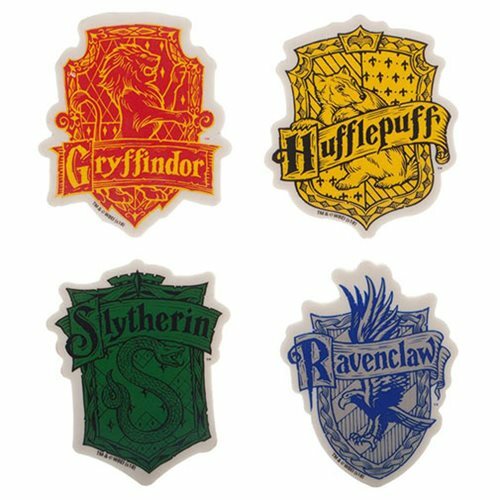 These "low crumb, high quality" erasers are shaped and designed to look like the Hogwarts house crests. The Harry Potter Shaped Eraser Set comes packaged in a peggable plastic box. Made of synthetic rubber.